Judith Zawatsky serves as chief of staff at the General Services Administration‘s Federal Acquisition Service. In this capacity, Zawatsky is responsible for executive operations within the Office of the FAS Commissioner that works to deliver more than $50 billion in products and services to customer agencies each year. She previously was director of FAS’ Multiple Award Schedules Transformation Program Management Office and led all MAS initiatives. Before that, she held the roles of acting deputy assistant commissioner and director for outreach and stakeholder management in the GSA-managed Integrated Award Environment. 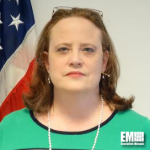 She also served as senior adviser at the agency’s Office of Acquisition Management, where she established the independent Acquisition Systems Group with the goal to increase accountability, integrity and visibility across the government procurement process. Zawatsky also led the development and implementation of acquisition transformation efforts as chief of special programs branch within the MAS Program Office. Prior to GSA, she spent 18 years as a commercial consultant focused on business and government contracting processes. She studied business administration at University of Maryland and received a diploma from Georgetown University’s Institute of Comparative Political and Economic Systems.